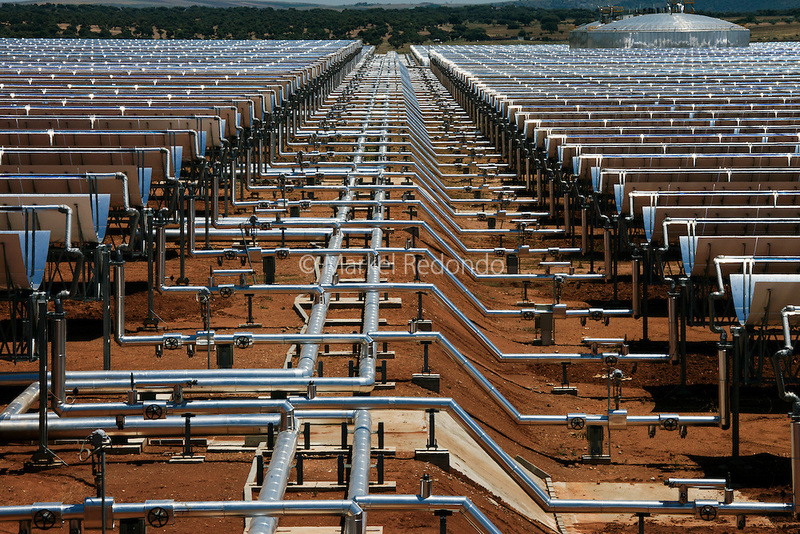 La Dehesa, 50 MW parabolic through solar thermal power plant with molten salts storage. Completed in February 2011, it is located in La Garovilla (Badajoz), Spain, and it is owned by Renovables SAMCA. With an annual production of 160 million kwh, La Dehesa will be able to cover the electricity needs of more than 45,000 homes, preventing the emission of 160,000 tons of carbon. The 220 h plant has 225,792 mirrors arranged in rows and 672 solar collectors wich occupy a total length of 100km. ","- solar field formed by the fluid and the fluid circulation system.